A Blackpool man turned on police when they arrived to arrest him at a town centre supermarket. Daryl Mullins, 29, of Cocker Street, was detained by Sainsbury’s staff after he was suspected of shoplifting an £18 gift set. While he was detained at the store he became agitated and punched a hole in a office wall causing £250 of damage. Mullins was being put in the police van by a female officer when he started to struggle and the officer had her head banged against the side of the van several times. The defendant then turned on another male officer and made racist remarks towards him. Mullins admitted theft, criminal damage to the wall, racially aggravated abuse to the officer and assaulting the female officer. He was jailed for eight weeks and ordered to pay £285 in costs and compensation by Blackpool Magistrates. The court heard Mullins was on licence from a prison sentence when he committed the offences. A carer was more than three times over the alcohol limit when stopped by police. Sabina Wood had no shoes on when officers spoke to her after they pulled her over in Wrea Green. Wood, 31, of Sevenoaks Drive, Anchorsholme, pleaded guilty to driving with excess alcohol. She was sentenced to a 12 months community order with up to 15 days rehabilitation, banned from the road for 28 months and fined £20 with £85 costs plus £85 victims’ surcharge. Prosecutor, Sarah Perkins, said police received a report about the driver of a Ford Mondeo acting suspiciously at a service station in Churchtown on August 31 about midnight. Officers spotted the car on Blackpool Road. Wood had no shoes on and was slurring her words. A breath test showed 107 microgrammes of alcohol in her body - 35 is the limit. Wood, who had no previous convictions, told magistrates: “I apologise for wasting everyone’s time. There was no excuse for my behaviour. You should never drink and drive.” She added that she helped care for her father and grandparents. An electrician was caught driving with drugs in his body after police stopped his car because it was showing as having no insurance. Jason Challinor, 23, of Ansdell Road, Marton, pleaded guilty to two offences of drug driving and having no insurance. He was banned from the road for 12 months and fined £460 with £85 costs plus £46 victims’ surcharge. Prosecutor, Sarah Perkins, said police stopped Challinor’s VW Caddy on Westmoreland Avenue because it was showing as uninsured on June 6 at 12.40am. A blood test showed 163 units of benzoylecgonine, a derivative of cocaine, the legal limit of which is 50 and 50 units of cocaine - the limit of which is 10. John McLaren, defending, said his client had been round to the home of friends where drugs were being used by others and Challinor decided to try it and joined it. He took some drugs in the early evening and felt OK when he set off to drive the short distance home in the early hours. Challinor had been in dispute with his insurance company and said he had not cancelled his car’s insurance. A woman accused of being a noisy neighbour has had a date for her trial fixed. Paula Wilson, 38, of Palatine Road, Blackpool, pleaded not guilty to failing to comply with a noise abatement notice issued by Blackpool Council between March 24 and April 28 this year. She is alleged to failed to have stopped noise by played amplified music with lyrics, singing, banging, stamping, loud voices and doors slamming at her address. Her case was adjourned to December 17 for trial. A man breached a court order for a second time when he failed to attend appointments. Steven Allen, 27, of Iddon Court, Blackpool, pleaded guilty to failing to comply with a community order. He was fined £80 and ordered to pay £60 costs. 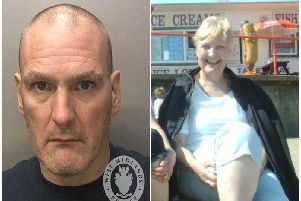 Prosecutor, Cheryl Crawford, said Allen had been sentenced to a 12 months community order with 10 days rehabilitation and 120 hours unpaid work for the community for disqualified driving and drug driving. He failed to attend appointments on August 5 and 19. Kathryn Jamieson-Sinclair, defending, said her client had been ill at the time but could not provide proof of that as he had not been registered with a doctor for 12 years. Allen had made progress with the order since missing the appointments.